Defence Turkey: Dear Mr. Dede, you were assigned as the General Manager of ONUR A.Ş. last November. What will ONUR’s vision be in this new era under your guidance? What plans and strategies will be identified for the new period? Where will ONUR position itself in Turkey and in the world market? 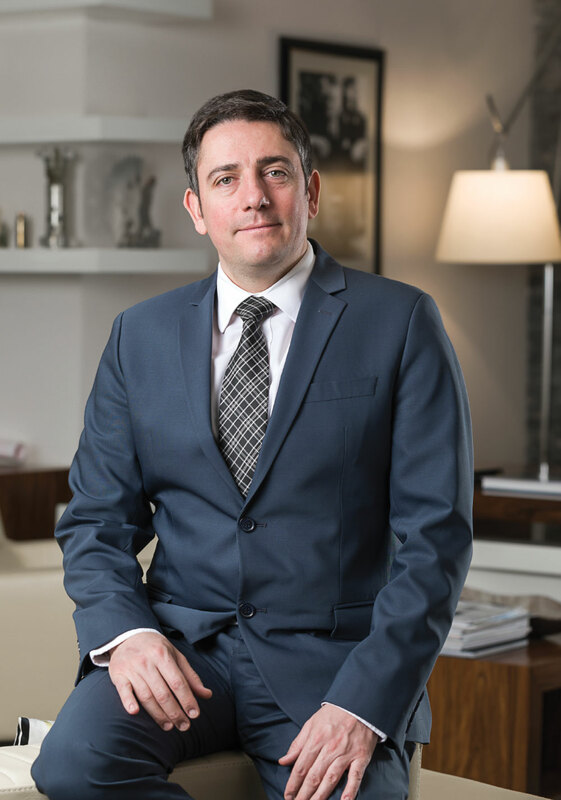 ONUR A.Ş. has been performing activities as a well-established family business since 1980. Our company, which has been conducting engineering activities related with construction and infrastructure works since the beginning, has later become familiar with the defense industry as the subcontractor of major companies and with such infrastructure and experience, it seized the opportunity to cooperate as the main contractor for the first time with the Undersecretariat for Defense Industries (SSM) as a main contractor with its unique product in 2012. My goal is also maintain ONUR’s institutional culture, working discipline and engineering infrastructure that the company has been containing up to date, and without deviating from the communication system and technologies that are in our focus, maturing our company as an accredited company in the eyes of the industry with its accomplished position in Turkey and the added value it created, while conducting activities in order to position it in the international arena as a company competing with its worldwide rivals in technology and furthermore developing products with superior capabilities. Defence Turkey: You have been indigenously developing the IP Based Voice Recording/ Playback System in addition to the IP Voice Communication System / IP VCS that are considered worldwide as “niche” areas. Your systems are being utilized by the Turkish Armed Forces as well. Could you please inform us on the projects conducted so far with the Turkish Armed Forces and on the current status of these projects? Our company has been providing services to the Turkish Armed Forces (TAF) ever since its establishment in 1980. Within the context of our integration capabilities developed in parallel with the experiences gained through the projects, we have started providing services to various local and foreign integrators. For instance, as part of Meltem-2 Project, we have been assigned as the subcontractor of Thales Communications France for the execution of the design, integration and installation of the systems they will be establishing in Turkey. In addition to this project, we also accomplished the integration of the Radar and WECDIS systems of the Surface Vessels of the Naval Forces Command. Our company conducted the integration of the WAIS, ECDIS and ECS systems to patrol boats of the Coast Guard Command, besides assumed the design, integration and installation of the electronic systems of the various air traffic control towers at Turkish Air Forces’ Bases. All the experiences we accumulated through these projects introduced us to the defense industry and with the know-how and experiences we gathered, we directed our focus towards creating our own systems and technologies. As an output of this effort, we developed the Voice Communication System (VCS) which is a critical sub system that we used to procure from foreign countries and we signed our first contract as the main contractor with the SSM in 2012. Within the scope of this contract, we accomplished the design and production of the radio gateway providing IP based access to the analog radios within the inventory of the Air Forces, development of the software-based voice switching systems, development of touch screen controller working position equipment, development of voice and data recording systems, Link-16 voice integration and integration of the time distribution systems. At the end of the project, last year we signed its second phase composed of project’s extension to all the alternate bases and successfully completed the first Factory Acceptance Tests as part of the second phase. The project is progressing satisfactorily. Another project we are assigned as the main contractor under the auspices of SSM is the Maritime Tactical Radio Network (DETTA) Project. Within the framework of this project, we will be developing the intelligent hybrid coomunication router that controls the wireless devices for the Naval Forces Command and execute the data prioritization and routing in accordance with the identified rules and that provides the establishment and continuation of the tactical wireless network via smart algorithms and the Wireless Communication Module (WCS) that enables the broad band data transfer. This project is also being carried out successfully as a result of the effective and constructive business relations we built both with SSM and the Naval Forces Command. Mobile and Fixed TACAN Procurement Project is among the projects we have been executing as a main contractor under the guidance of SSM. As part of this project, we will be installing 10 fixed and 4 mobile TACAN systems to the various airports under the auspices of the Air Forces Command. We aim to launch the acceptance of the systems taking part in this project in the second half of March. In addition to the aforementioned projects we have been conducting as a main contractor at SSM, in line with our existing contracts there are projects for which we have been assigned as the subcontractor of TAI and Aselsan. As part of our contract with TAI, we will be supplying the communication unit of the ground control units of unmanned air vehicles that are being developed by TAI. Within the framework of the principle agreement for the “Air Traffic Radar Systems Development Project” being developed by Aselsan, we signed the contract regarding the Development and Procurement of the Communication and Recording System as the subcontractor as of this January. Defence Turkey: The final acceptance process of the “IP Voice Communication System and IP Based Voice Recording / Playback System Procurement Project” was completed at the end of January. This project was conducted to provide air to ground communication between the air traffic control units and air vehicles and ground - voice communication with the other surrounding units for four different airports of the State Airports Authority (DHMİ). What would you like to say on this? This project has two critical aspects for us. This project executed for DHMİ is the very first project offering us to prove ourselves in the civilian area. We seized the opportunity to extend the experiences and know-how we acquired through the military implementations to the civilian area. In the tender initiated for this project, we competed with the worldwide giants and witnessed that the indigenous technology we developed had the competence and depth beyond such major companies. This has been the factor motivating us in opening to global markets. With the help of the encouragement we took there, now we are participating in the critical tenders in the international arena, showing the world a Turkish company is in their league and we are very proud of this. 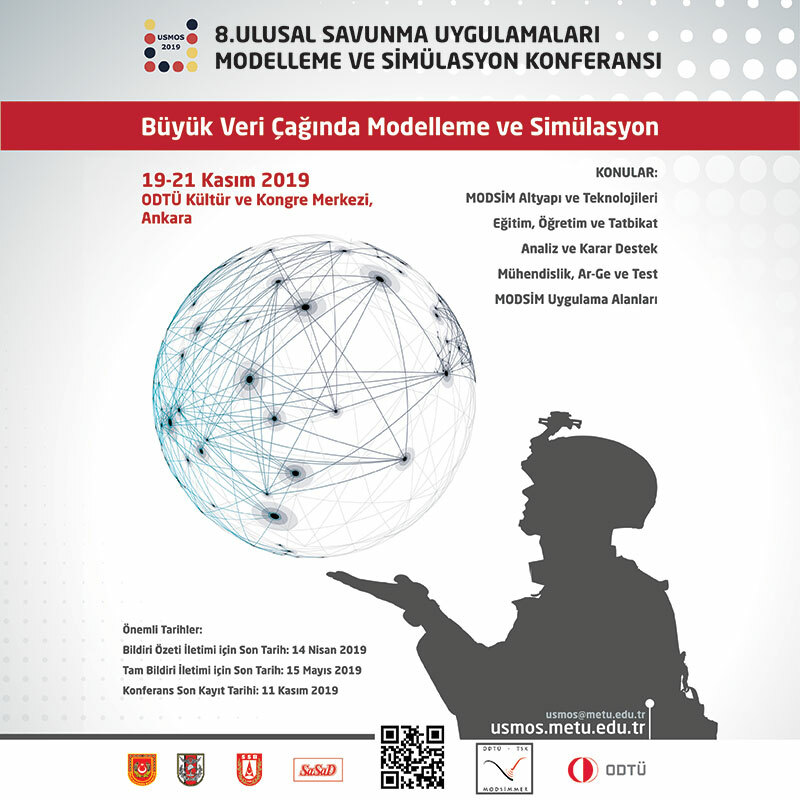 Defence Turkey: Taking your capabilities and technology in IP VCS into consideration, how do you define your position in the international platforms? What would you like to say about your activities conducted to this end as well as your strategies? I would like to state that the competence and technology of the product we developed in the IP VCS/VRS area is currently superior than most of the products of the companies working on this area. Within the context of the HSTA Project which we signed with the SSM in 2012, we designed an IP based product structure in line with the high standards and specifications stipulated by our Air Forces Command. Currently the number of the systems operating as “pure” IP is no more than 2 or 3 in the world, and this makes our product stand out technically. The fact that we installed our product at 35 locations with 560 legacy radio capacity at the inventory of the Air Forces Command also provides us an important advantage in respect of the greatness of the project and our integration capability. Presently, we strive to introduce our communication solutions for the civilian and military projects in various geographies from Qatar to Ethiopia, from Malaysia to India and endeavor to obtain results by participating in tenders with our business partners. Defence Turkey: Within the scope of the Air Defense Radio Network Project (HSTA), upon the resolution of the Defense Industry Executive Committee dated 9 March 2016, it was decided to launch the contract negotiations with ONUR as the main contractor for extending the main jet bases and alternate airdromes. The second phase of the Project started in July 2017. In this regard, what would you like to say about the activities conducted concerning the HSTA Project? Within the scope of HSTA Project Phase-1, the system is being used actively and successfully after the installations at 6 centers and 82 remote sites. As of July 2017, material procurement activities were accomplished for executing the installation of the indigenous VCS and VRS systems which were developed by our company to main air bases and alternate airdromes. The factory acceptance activity of the first group planned for 2018 was completed successfully. We also completed the infrastructure activities in order to conduct the installations at the units simultaneously. In the upcoming period, the systems will be launched to utilization upon the completion of the acceptance processes following the installation of the systems at the units. As we execute the installation activities at the units, we will be conducting the factory acceptance and infrastructure activities of the 2nd group units planned for 2018. Defence Turkey: What is the latest status of the Mobile and Fixed TACAN Procurement Project you have been conducting with the Undersecretariat for Defense Industries? As part of the “Mobile/ Fixed TACAN System Procurement Project” that we have been conducting with the SSM, we covered notable distance and currently we are at one of the most critical stages of the project. Following completion of the Fixed TACAN Systems Factory Acceptance Tests and Trainer’s Training in 2016 at the United Kingdom, we accomplished the factory acceptance tests of the Mobile TACAN Systems at the USA with the participation of the representatives of the SSM and Air Forces Command and successfully completed the O, I and D Level trainings in respect of the Fixed and Mobile TACAN Systems. Currently, we are planning the delivery of the systems in coordination with SSM in order to launch the Site Acceptance Tests. We project that the first months of 2018 will be mostly filled with site acceptance activities. Our target is to complete the Site Acceptance Test of 4 Mobile TACANs in March, complete the acceptances of Fixed TACANs around June 2018 - December 2019, launch them to the service of the Air Forces Command and initiate the warranty period. Defence Turkey: What is the scope of the activities have you been conducting in respect of your Mobile Air Traffic Control Tower that you indigenously developed and manufactured for the Air Forces Command? Two Mobile Air Traffic Control Towers existing currently within the inventory of the Air Forces Command was a project which we executed the design and engineering activities years ago. It has been a long time over the delivery of the both systems and within that period we developed our VCS/ VRS systems. I can say that with the help of our existing engineering infrastructure and competences, we are capable of manufacturing any Mobile Air Traffic Control Tower with design and production flexibility in line with the demands of the customer, fully through domestic and national resources in respect of both design and communication devices and units, in a short period. We have been going through an intense negotiation process with both domestic and foreign customers in respect of this product. I hope that soon we will be able to announce good news on the procurement of the Mobile Air Traffic Control Tower both in our country and in the foreign markets. 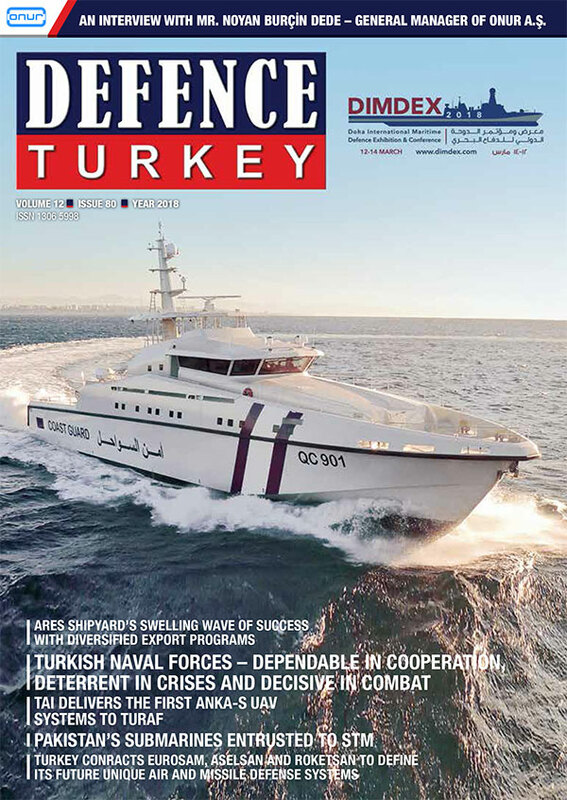 Defence Turkey: Could you please inform us on the activities accomplished so far and on the current status of the Maritime Tactical Radio Network (DETTA) Project containing the development, design, procurement and installation of the system to be developed for the Naval Forces Command, which will fulfil the voice, data, image and messaging demands as part of the Network Enabled Capability concept? DETTA Project is being executed successfully as a result of the effective and constructive business relations we have built both with the SSM and the Naval Forces Command. We are exerting our best efforts in order to render the product fully operable at the final stage and we are proceeding by consulting the issues with the SSM and Naval Forces Command throughout all phases and processes. The design activities are being conducted as planned in the Project. Besides, the primary “Proof of Concept” model released as a result of the development activities within the company has been prepared and rendered operable. The model was introduced to the users as part of the 8th Naval Seminar and precious inputs were received. Software and hardware design and development activities are being carried out for integrations taking part within the scope of the Project. By the end of the Project, the Naval Forces Command will have reached the ultimate point achieved by technology and even beyond regarding the “Network Enabled Capability” which will be envied by many nations. And this crucial capability will be provided as a unique and national solution by the ONUR. I believe that we will be putting forth an exportable product fulfilling the demands of the Naval Forces Command and containing technologies beyond the products of the global actors. Defence Turkey: It is clear that as ONUR you have multiple competences as a result of the experiences you gained in both military and civilian areas. What are your views and comments in this issue? The capability we acquired through defense industry projects opens many doors to our company in the civilian area as well. As part of the Air Defense Wireless Network Project, the number of the systems we installed at numerous sites of the Air Forces Command is higher than the number of the airports run by many countries in Europe. This turns out to be a great reference and a critical indicator of maturity for us in the international market. Additionally, the requirements involving high technology taking part in the HSTA Project’s contract of the Air Forces Command and the SSM enable us to position our product beyond many of our rivals in world category. I hope that the emphasis on indigenous and domestic product concept bearing great importance in the defense industry would not be limited merely to the defense industry, and that it extends to all units and organizations of the government. Defence Turkey: The importance you attach to R&D as ONUR is very well known. In this respect, which type of an infrastructure did you establish with your new R&D center? What is the status of your R&D studies related with new products and technologies? R&D Projects bear greater importance to the companies of SME scale like our company. Currently, numerous support and grant programs are offered for the R&D Projects. As such, we closely follow all these programs and exert great efforts over the R&D projects that would expand and deepen our existing capabilities, bringing new capacities to our company. Within the last year, we moved our engineering department located at Hacettepe University’s Teknokent to our premises in Ümitköy and we have been conducting our studies at the accredited R&D center there. Most of our employers are the graduates of engineering departments of the universities and they are experienced and esteemed colleagues. We try to make contribution by investing in them through training and supporting them in post-graduate and PhD programs. Defence Turkey: Does ONUR offer a solution to military institutions and associations with its performance-based logistics concept? What is your approach regarding this issue? First of all, during the design phase of the systems provided to the civilian and military institutions and associations, ultimate attention is being shown to enable the selection and production of the most ideal Sub System in respect of Reliability, Availability and Maintainability (RAM) in addition to Sustainability and Testability. Thus, regarding maintainability, our systems stand out as the systems delivered to the users claim minimum failure rate, as no additional test and measurement devices are required thanks to the Built-in Test (BIT) feature of the sub systems, as they do not need planned and preventive maintenance and as the corrective maintenance activities are merely composed of O-Level LRU change. However, from the perspective of “the designer knows the system best” approach, ONUR, with its experienced and expert staff, has always adopted the approach of providing continuous support to its products in the field. We also have been conducting projects within the scope of Performance Based Logistics (PDL) and upon the demand of our customers; we are ready to provide PDL contracts by aligning with the minimum logistical response duration and flexible project models at high activity targets. Moreover, we have been enabling the generation of operational / cost efficient solutions regarding the assessment and implementation of the half-life modernization requirements as part of the PDL. As I mentioned in the very beginning of our interview, our main target and principle is to design systems with low Life Cycle Costs that are highly Maintainable, Sustainable and Available. Defence Turkey: Lastly, would you like to convey any message to the readers of Defence Turkey?